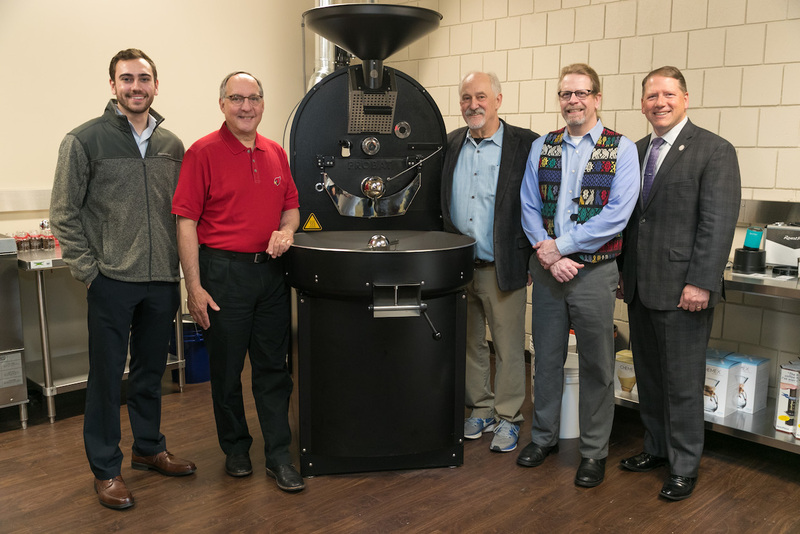 From Left to right at the new North Central College Coffee Lab: NCC Entrepreneur-in-Residence Connor McGury; NCC Board of Trustees Chair Jim McDermet; NCC Professor Gerald Thalmann; NCC Professor Matt Krystal; NCC President Troy Hammond. 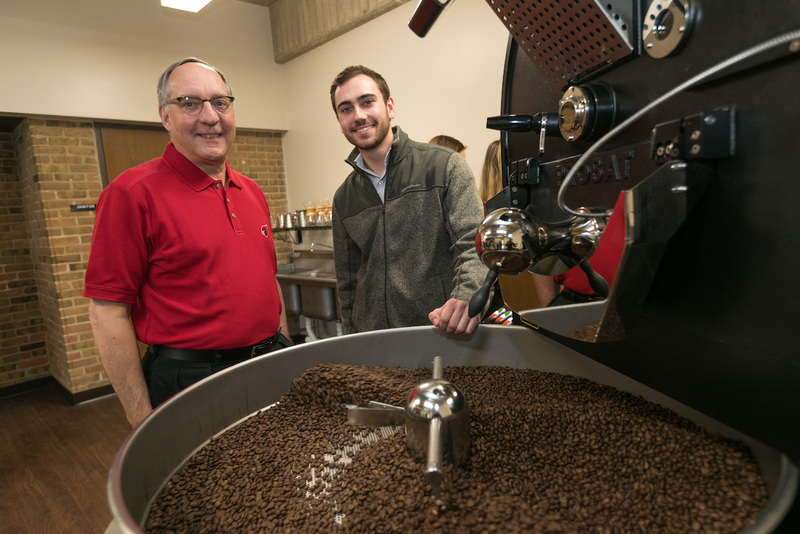 North Central College has opened a 450-square-foot Coffee Lab on its main campus in Naperville, a western suburb of Chicago, adding to the growing number of college-operated coffee-focused programs in the United States. NCC faculty have been guiding NCC students to the coffeelands of Guatemala for several years, meeting growers in the San Lucas coffee region to support the college’s own roasted coffee brand, Conscious Bean. That program is an initiative of NCC’s Enactus, a student and faculty collaboration designed to support social justice principles through entrepreneurship. Finding fertile ground for such a mission in the coffee sector, FCC’s Coffee Lab promises to deliver practical and educational opportunities throughout the seed-to-cup chain, with emphases on sustainable sourcing and supply chains. “Coffee is ubiquitous in our daily lives, but most people don’t think about all that goes into getting the coffee from its source and into your cup,” NCC Board of Trustees Chair Jim McDermet said in an announcement released by the college today. McDermet, who has been instrumental in the Coffee Lab project, according to a university spokesperson, knows of what he speaks. 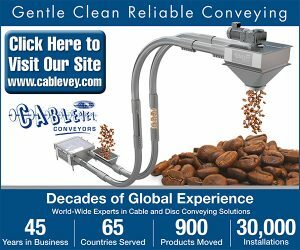 He is the former senior vice president of global and Americas operations at a little coffee company called Starbucks. Jim McDermet (left) and Connor McGury, North Central’s entrepreneur in residence who is heading up the Coffee Lab project. 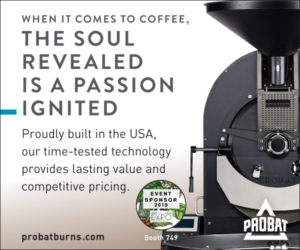 The on-campus Coffee Lab houses a Probat P12/2 roaster that was generously donated by Vernon Hills, Illinois-based Probat, Inc. Other coffee industry partners chipped in with a range of equipment and software for roasting, brewing, quality analysis, and more. The Lab boasts of: Chemex and Aeropress brewers; Acaia scales; Acronova, RoastRite and CoffeeTec analyzers; Cropster software; and Bunn grinders, hot water towers and batch brewers. 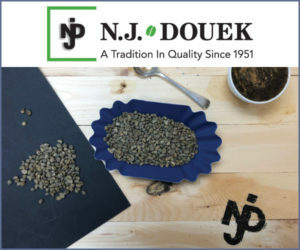 The college says that the Lab will initially be roasting 75 to 100 pounds of coffee for work, while hosting educational workshops, tastings, and supporting the Enactus-led coffee enterprise. 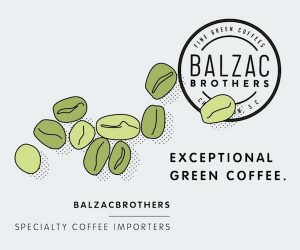 The college envisions a variety of educational applications for the facility, involving numerous types of students, including: accounting students who can apply cost accounting and business plan assessments; chemistry students who can explore brewing, roasting and storage; engineering students who can explore roasting and brewing mechanisms; and social sciences students who can study the social impact of coffee production on coffee farmers and their communities.